Washington Post Once-sleepy St. Petersburg, Fla., awakens with vibrant arts and nightlife scenes. April 27th 2018. To view the images in the full article click here. 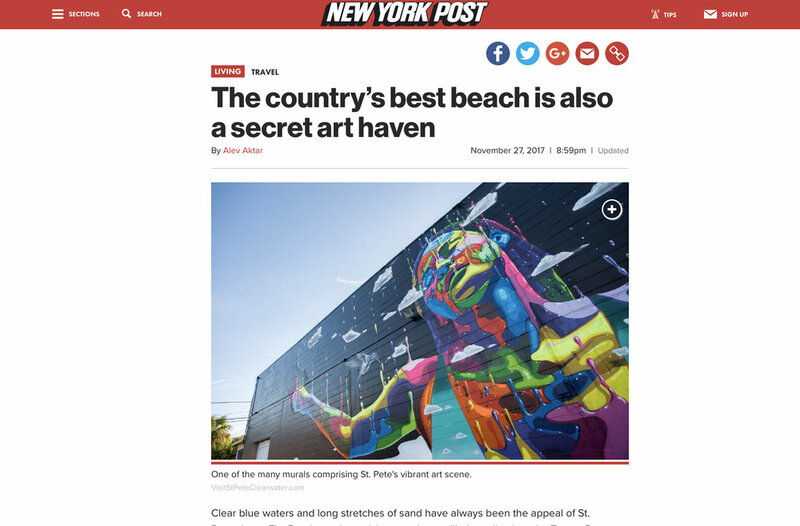 New York Post The country’s best beach is also a secret art haven. November 27th 2018. To view the images in the full article click here. Trendy ‘Light Painting’ Photography flashes in St. Pete. August 15th 2018. To view the images and watch the full segment click here. Share a Little Sunshine reached out to me and asked if they could use my images for their commercial. Click the play button on the video above to watch!